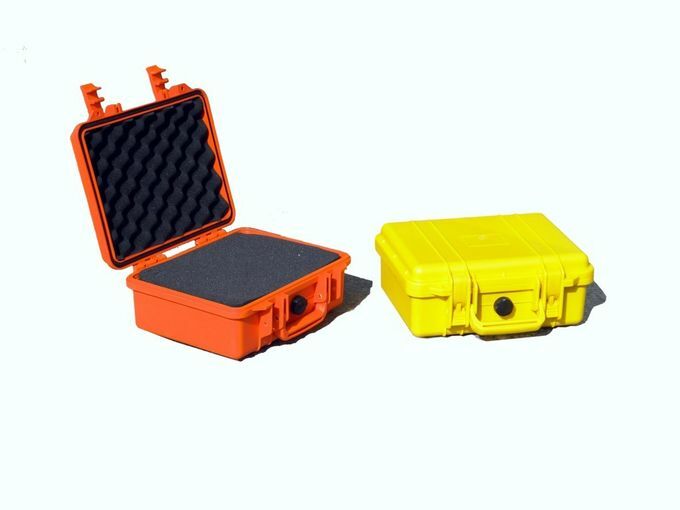 Calibration blocks is an important supplementary material in the Ultrasonic testing, used to calibrate the sensitivity of the ultrasonic flaw detector and ultrasonic probe. 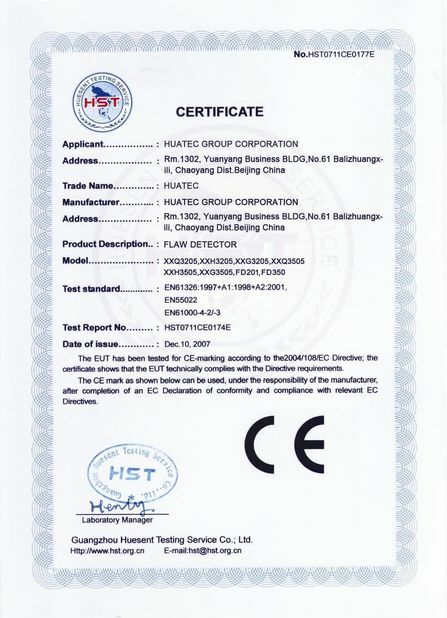 Our testing block is certificated by the authority of the state depeartment. Our products include: domestic standards UT blocks, European standard UT block, NDT block, hexagonal testing block, and so on. Processing of the special specifications UT block. 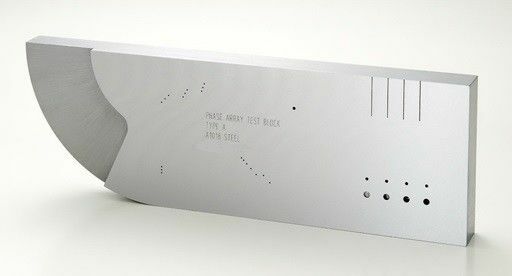 The Phased Array “Type A” Calibration Block is used during the initial setup and calibration of a phased array ultrasonic unit. 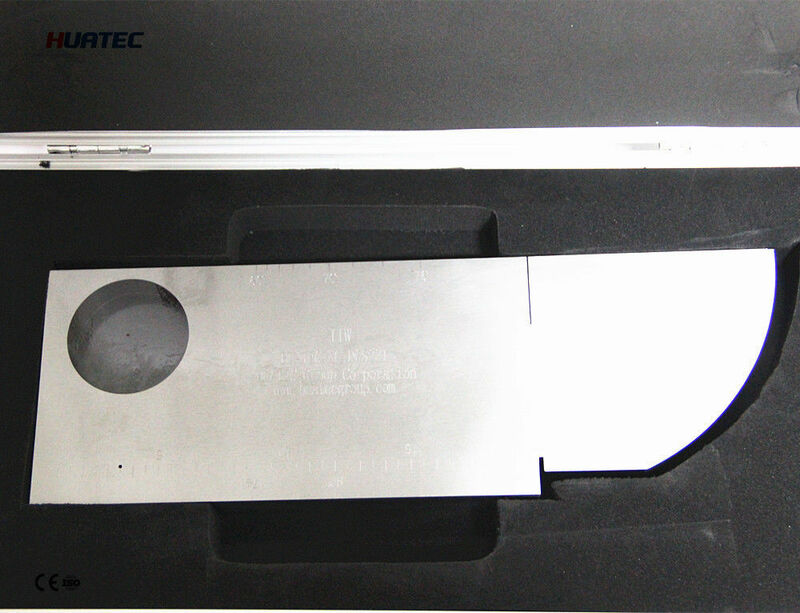 This block can be used to perform tasks such as beam angle verification, calibration for wedge delay, sensitivity calibration, performing DAC/TCG, and more. This block has similar dimensions to an IIW-Type Block, but has been specially-engineered for phased array applications. Blocks include both 100.0mm and 50.0mm radii, (19) through holes at 1.0mm diameter, (1) through hole at 2.0mm diameter, (4) FBHs at 2.0mm diameter x 2.0, 4.0, 6.0, and 8.0mm deep, (4) FBHs at 4.0mm diameter x 1.0, 3.0, 5.0, and 7.0mm deep, (3) FBHs at 2.0mm diameter x 3.0mm deep machined into the 50mm radius, and (4) EDM notches at 0.1, 0.2, 0.3, and 0.4mm deep x 0.5mm wide x 25.0mm long. Block dimensions are 25.0mm thick x 100.0mm tall x 300.0mm long.